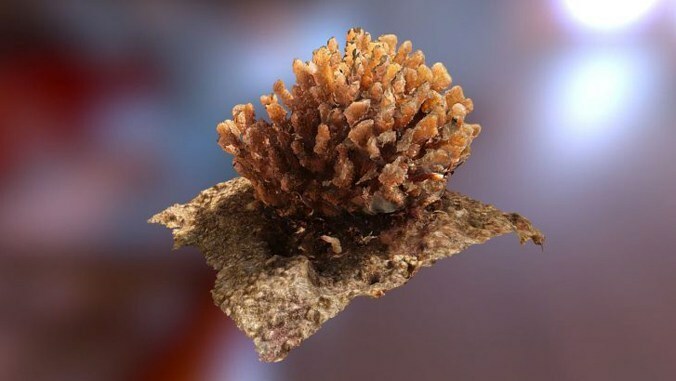 Click on image above to explore 3D interactive model of Pocillopora meandrina colony from Waiʻopae, Hawaiʻi Island (outside link). Model created by John Burns. Burns and Brianna Craig, an undergraduate in the marine science department at UH Hilo, discuss 3D imaging in a research article published this year in the Journal of Marine Science and Engineering. The article, “Integrating Three-Dimensional Benthic Habitat Characterization Techniques into Ecological Monitoring of Coral Reefs,” demonstrates the effectiveness of incorporating 3D reconstructions of the benthic (sea floor) habitat into the ecological monitoring of coral reefs. For decades, marine scientists have been conducting survey dives to monitor the health of coral reefs. Information gathered during these surveys is vital for documenting coral community characteristics and monitoring phenomena such as bleaching events, that occur when the ocean water warms up. 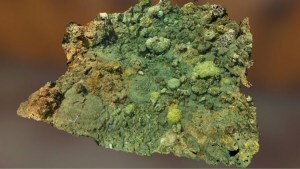 Click on image above to explore 3D model of Montipora capitata and Pocillopora meandrinacolonies at Waiʻopae, Hawaiʻi Island (outside link). Model created by John Burns.